With the New Year fast approaching, I started looking for a new wall calendar to hang above my desk. I love writing down fun events to look forward to and crossing off the days that have passed. It may be totally weird, but I always find it really gratifying to cross off days on my calendar. It also helps me to keep track of all my big events. It’s definitely saved me from forgetting a couple of birthdays and big dinners. 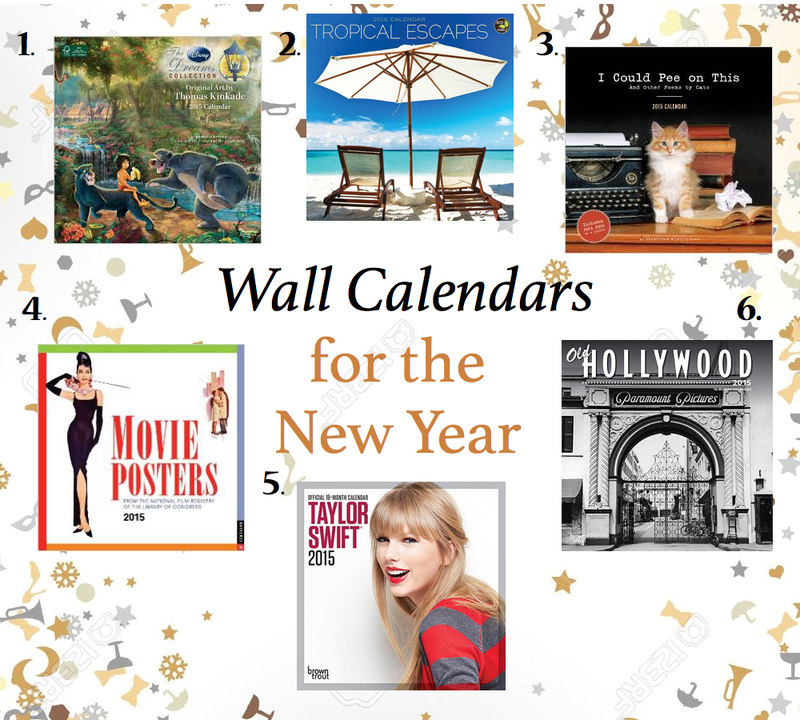 Below are some of the wall calendars that I have been checking out for this year. It’s definitely a difficult decision considering you will be looking at all year long so be sure to choose wisely! I love getting a new calender for our fridge. I make a huge deal about sitting down with it and pinning in important dates/birthdays. Color coded of course. umm, I need that taylor swift calendar NOW. LOL I love her! I like to cross days off my calendar, too. It keeps me productive because then I know how soon I need to have things done. And it also helps to have a real calendar instead of just a digital one because then I can just glance up and see what's going on instead of having to go search for it. I love the kitten calendar! My boyfriend just got me one with 12 funny photos of our cat. I always make a calendar. I didn't make one for 2014 but I plan to make one for 2015. I love wall calendars! The cat one is too too funny!! My sister bought my dad the "tropical escapes" calendar for Christmas! 4 or 6 look SO FUN! I never would've found those on my own. Thanks for this post! We get a family calendar each year – every family is a different month and we make our own month pages. Very cool. love the Movie Poster calendar!!! Great.. I would also love to have one of luxurious cabins.